There has been a Chinese consortium granted specially for sale and there will be negotiations which will take place over the coming weeks for an agreement before 15th of June. It is indeed promising and also had opened the door for Milan as it has become a good proposition as far as the target for summer transfers is concerned. The rise in investment as well as financial power in the market can let the Rossoneri to look for high profile names that include the former player Zlatan Ibrahimovic, the Swedish footballer recently expressed his desire to join back San Siro. He said that he had a good relationship with AC Milan and has a genuine concern for them as the club has been the biggest one that he has played for. He said that he was reluctant to leave Milan and it was due to other people that he had to take the extreme step. He is very keen to return and has said the news will soon be revealed. Ibrahimovic has scored many goals close to 42 in his 61 appearances for Milan club and also had helped them to Scudetto in the year 2011. The player has been doing careful planning as he needs the right players at Milan to help him make things work for him. He requires energetic and young players who would assist him in pulling the strings and making an impact like he did in this season. He has always been successful and if he returns to Milan, Serie A will certainly give him the chance to continue to make it to top. 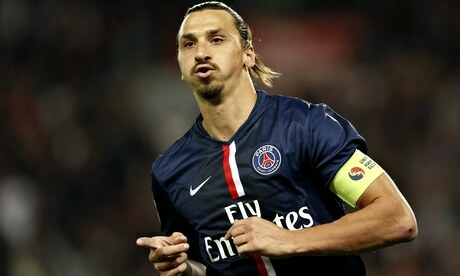 It will be a great idea to bring Ibrahimovic back to Milan as it will be the right move for them.